Made from 100% raw premium beef liver, Tilly’s Treasures fit perfectly into your dog’s raw diet as a special reward or occasional snack! These irresistible freeze-dried treats are uniquely rich in fortifying A & B vitamins, iron, and essential minerals — so you can tickle your best friend’s taste buds, while also fueling their body and mind. Tilly’s Treasures contains ZERO artificial preservatives, additives, or fillers that can be harmful to dogs. Plus, it’s naturally grain and gluten free — making it the perfect, protein-rich treat. We source premium beef liver and then gently freeze-dry to keep the meaty flavor and powerful nutrients intact. Tilly’s Treasures are made from one single ingredient: Beef Liver. What makes Tilly’s Treasures so unique? These treats are made from one single ingredient: 100% raw premium beef liver. Each meaty bite is freeze-dried at peak freshness and naturally full of A & B vitamins, iron, and essential minerals to help support your dog’s health from nose to tail. Plus, these treats are grain free, gluten free, and contain zero preservatives or fillers — making it an ideal treat for your best friend. Why is this treat freeze-dried? Most dog treat companies cook their treats extensively — which wipes out all the nutritional value. Tilly’s Treasures are fully raw and freeze-dried to lock in the maximum nutrient content and fresh, meaty taste. 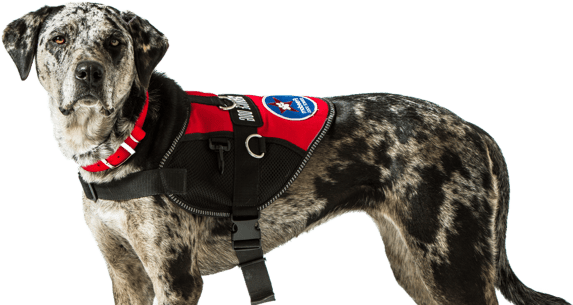 How many treats can I give to my dog each day? While Tilly’s Treasures are healthy, they’re intended to be enjoyed as a treat and should not be used to replace your dog’s daily meals. Because beef liver is super nutrient-dense, I recommend giving your dog no more than 1-2 pieces per day as a special reward or a tasty snack. Does this treat need to be rehydrated before serving? Nope – there’s absolutely no prep-work needed! Tilly’s Treasures are ready-to-eat treats that your dog can enjoy as is, right out of the bag. 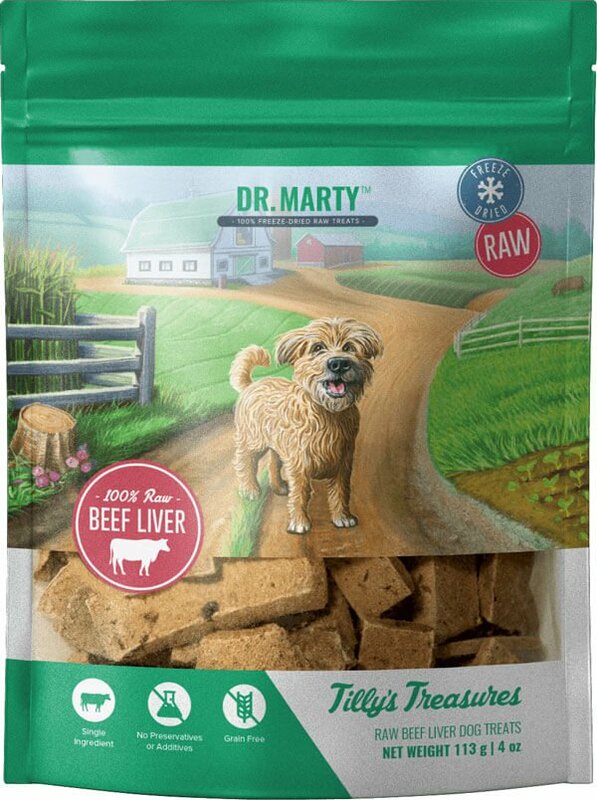 These treats are made from just one, single ingredient — 100% raw beef liver, and are totally grain free, gluten free, and contain no artificial preservatives, additives, or fillers. What if my dog doesn’t like them? Absolutely. As a veterinarian, I take every aspect of canine nutrition very seriously — including their healthy treats. However, if for whatever reason you’re unhappy with these treats or your dog doesn’t find them tasty, please let me know. 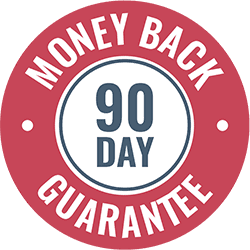 You can send back the unused portion anytime within 90 days, and I’ll return your money, no questions asked — guaranteed.